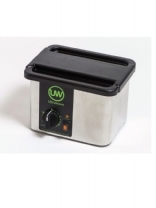 The U95 is a 1.95Litre ultrasonic bath with a timer control of up to 15 minutes. The U95 is supplied with a stainless steel basket and ABS plastic lid, useable as a drip tray to collect excess water when the basket is removed from the tank. MADE IN THE UK. The Ultrawave U300 has a working capacity of 2.5 litres, a timer 0-15 min. 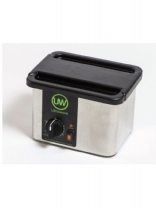 The Ultrawave U300H has a working capacity of 2.5 litres, a timer 0-15 min. DLT stock a range of benchtop ultrasonic baths.